Author Trish McCallan » A recommended read that will rock your military romance socks off! A recommended read that will rock your military romance socks off! Hello peeps, Jennifer Lowery here to rock your military romance socks off! My new release, Worth the Risk, Book #3 in my Wolff Securities Series, is available now for pre-order—Woot! It will release March 20th so get your orders in now! If you haven’t read the first two books, no worries, these are standalone as well as part of a series—although I do hope you’ll read them all 😉 The Wolff brothers are a tight-lipped bunch but I managed to get them talking long enough to write their books, lol, so the more support the better! A friend and author asked me why the hero of this book had me falling in love with him. A great question and one I am happy to answer here for all of you. Kell Wolff, the hero of Worth the Risk, was one of the most forth-coming Wolff brothers, even if he didn’t say much, lol. I knew from day one he was running—literally—from his past and the woman who tore his heart out. He was a fun mix of thrill-seeker and loyal, the one you wanted watching your six. He had kind of a warped sense of humor his brothers don’t care for, but Kell gets a kick out of needling them. He was kind of dark, but not in a tall, dark and brooding way. More, haunted. And I’m a sucker for the strong, silent types. He did manage to surprise me at the end of the book—sorry, no spoilers here—and I was so touched I fell for him all over again. I enjoyed watching Kell come to life and I hope you do, too! If you would like to read the first two books, Maximum Risk and Not Without Risk please go to my website HERE for purchase links. P.S. The first book in the series, Maximum Risk, is on sale for .99 cents for a limited time! Suddenly more gunshots rang out. Men started falling around them. Kell pulled his K-Bar out of the chest of one man and let him crumple to the ground. Their saviors in robes and sandals advanced on them, bleeding and battered, but alive. He turned to see more villagers behind them. They looked terrified, shocked. But it was Shea who he ran to. Blood covered her from head to toe. Or so it seemed to his addled brain. He couldn’t think straight. Could barely stand. Something was wrong with his legs. He watched Shea crumple to the ground and reached out to catch her. He did, but his strength had sapped away and he dropped to his knees, Shea in his arms. He stared down at her white face, willing her to open her eyes. But, she didn’t. Terrified he’d lost her he pulled her to his chest and toppled over as everything went black around him. 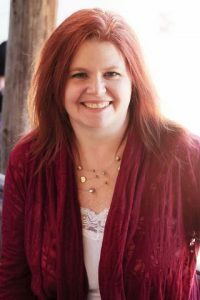 She debuted her first book in 2012 which made her dreams of being a writer come true, followed with her SEAL Team Alpha series and loves her job as much today as she did then. She is delighted to bring you stories from the heart and hopes you enjoy reading them as much as she did writing them. Thank you for having me today, Trisha McCallan!! I just want to send out a big THANK YOU to all my readers out there! Without you I wouldn’t be here. My wish is to one-day meet each and every one of you so I can personally thank you for your generosity and support! Thank you so much for having me today! I’m so happy to be here! May, 15: Forged in Ember is LIVE!! Mar, 22: A recommended read that will rock your military romance socks off! Mar, 01: Upcoming Book News! Jennifer Lowery: Thank you so much for having me today! I’m so happy to be here!